To hatch means ‘to break out from an egg,’ as birds do when they are born, ‘to cause to emerge from an egg,’ as birds do by sitting on their eggs to keep them warm until they hatch, and, when we are talking about the egg, ‘to break open to let the baby birds out.’ Figuratively, it also means ‘to plan or bring something forth.’ Unrelatedly, the noun hatch is an opening in a vessel used as a passageway, the cover of such an opening, and also the door of an aircraft. The hen sits on her eggs to hatch the chicks. The eggs still haven't hatched. The rebels hatched a scheme to overthrow the government. The sailor disappeared through a hatch leading below deck. Make sure you keep the hatches closed. The passengers had to exit the plane through the escape hatch. To hatch can also mean ‘to mark something with lines,’ especially closely set parallel lines, as a way of creating shading effects in drawing. You can read a Wikipedia article about it by clicking here. As a humorous reference to the passageway meaning, sometimes hatch is used as a word for the mouth or throat, especially in the expression “down the hatch,” which is used mainly as a toast when drinking. The verb hatch, meaning ‘to produce young from eggs (by incubating them),’ dates back to the early 13th century, in the form of the Middle English hacchen, though many linguists believe it may be older, and suggest a possible unrecorded Old English verb, hæccan, as the precursor. It is Germanic in origin, though the the exact root cannot be pinpointed. It is related to the Middle High German and German hecken, which originally meant ‘to mate’ (said of birds), and now means ‘to hatch.’ The meanings ‘to come out of an egg’ and ‘to make come out of an egg’ both appeared in the late 14th century, while the figurative sense (about plots, plans and ideas) dates back to the early 14th century. 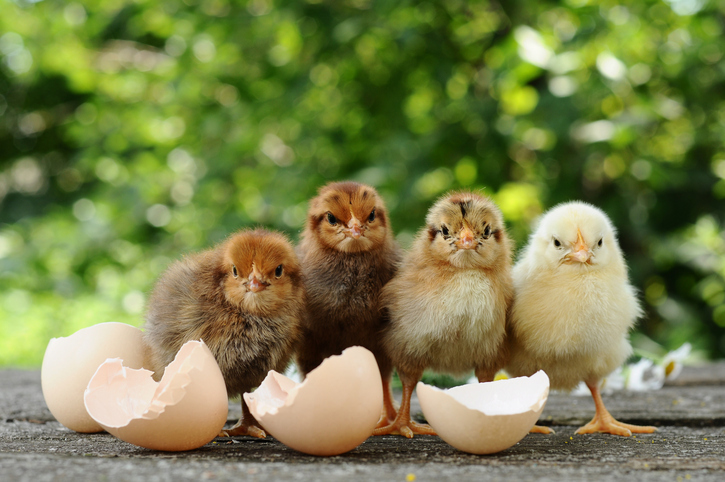 The noun, meaning ‘something that is hatched,’ as well as ‘the act of hatching,’ comes from the verb and dates back to the early 17th century. Hatch, the noun meaning ‘an opening or door on a vessel,’ dates back to before the year 1100. The Old English hæcc (and Middle English hacche) originally meant ‘grating, hatch or half-gate,’ and can be traced back to the Proto-Germanic root hak-, though its origin before that is uncertain. It is related to the Middle High German heck and the Dutch hek (gate, fence or railing). The sense of opening in a ship’s deck first appeared in the mid-13th century. Finally, the (also unrelated) verb hatch, meaning ‘to engrave or draw parallel lines,’ dates back to the late 14th century. It comes from the Old French hachier (to chop up or hack), from hache (ax). It is related to the English hatchet. The noun comes from the verb and dates back to the mid-17th century.